The oceans’ resources are critical to life on earth, ranging from providing fish to enabling sea transport, and from mitigating climate change to tourism. These economic sectors and related policies together determine whether the use of oceanic resources is sustainable and equitable, a concept known as the ‘blue economy’. One of the main challenges facing the blue economy is ensuring everyone benefits, so we not only protect, produce and prosper from marine and aquatic resources but that all users share the benefits. Achieving this will require new thinking, new information and greater collaboration between less traditional partners. These were some of the topics discussed at the World Ocean Summit in Abu Dhabi on 5–7 March 2019, which brought together over 500 delegates, including Dr. Gareth Johnstone, Director General, WorldFish, under the theme of ‘building bridges’. Following the event, Tana Lala-Pritchard, Director, Communications and Marketing, caught up with Dr. Johnstone to talk about the role of research in the blue economy discourse. Discourse on the blue economy often focuses on the most visible and powerful actors like large-scale aquaculture, industrial fisheries, deep sea mining and biotechnology companies. Who’s being left out of this picture? Small-scale fishers, traders, producers and processors, who represent an entire supporting value chain of tens of millions of people worldwide. In developing countries, small-scale fisheries produce over half the fish catch, and 90–95 percent of this is consumed locally in rural settings where poverty rates are high and access to nutritious and safe food is needed. Yet small-scale fisheries are being overlooked in favor of more powerful economic and environmental conservation interests. At the same time, small-scale fisheries are diverse and activities occur in remote locations, making it hard to fully measure their contributions. By 2050, fish demand is expected to double. If we are to find sustainable solutions to this growing demand, we have to recognize the vital role of small-scale fisheries and the legal rights of fishers. Equally, we must work with fishing communities to ensure they are included in the blue economy dialogue and negotiations—it makes good economic sense. How can research, data and information on small-scale fisheries help to better inform discourse on the blue economy? Millions of tons of fish from small-scale fisheries are not recorded, with inland fisheries catch estimated to be underreported by about 65 percent. Most of these hidden benefits are in developing countries, where fish consumption equates to the total annual animal protein consumed by almost 37 million people. Research is helping to uncover the extent to which small-scale fisheries are contributing to the blue economy. And data is being used to improve fisheries management and the value of the fish catch that has reduced because of increased pressure. This is helping small-scale fishers, traders and processes to prosper. Yet while data and evidence on small-scale fisheries is growing, there’s still an overall lack of scientific knowledge and information. As a result, small-scale fisheries continue to be marginalized in policy processes and receive inadequate support and investment. Research can help to fill these knowledge gaps, particularly around how small-scale fisheries can help to empower women, tackle malnutrition and enhance ocean health. Context is critical, and understanding the political, economic and social contexts is fundamental in successively applying technology and market-based solutions in a blue economy. What is WorldFish’s approach to interacting with the blue economy? The conference highlighted some of the links between land and sea. We believe that such thinking needs to be further strengthened and is essentially missing from the blue economy dialogue, particularly in fisheries. WorldFish aims to positively critique and encourage key groups like conservation NGOs, green/blue finance organizations, philanthropic organizations and national environmental agencies to think differently and build new bridges with less traditional groups and partners. 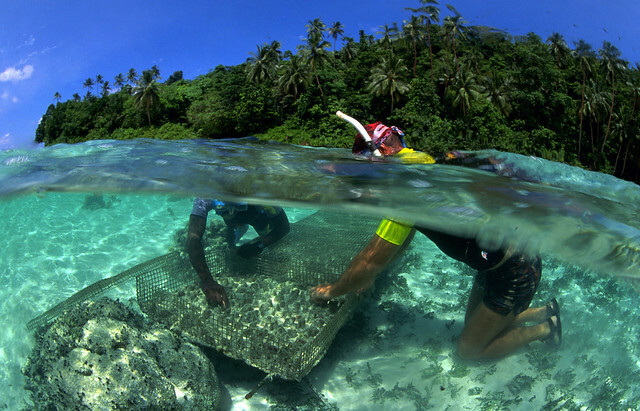 Can you give some examples of WorldFish work and research within the blue economy? We’re working to increase understanding of the role and diverse contributions of small-scale fisheries by partnering with them to gather better data. For example, we’re involved in research to better understand the social, economic, environmental and governance contributions of small-scale fisheries globally. In Timor-Leste, our researchers are using mobile and digital technologies with and alongside small-scale fishers to track vessel movements and fishing behavior. By understanding the opportunities and constraints of fishers and producers, WorldFish is better able to support individuals to develop businesses and harness markets and new technologies. 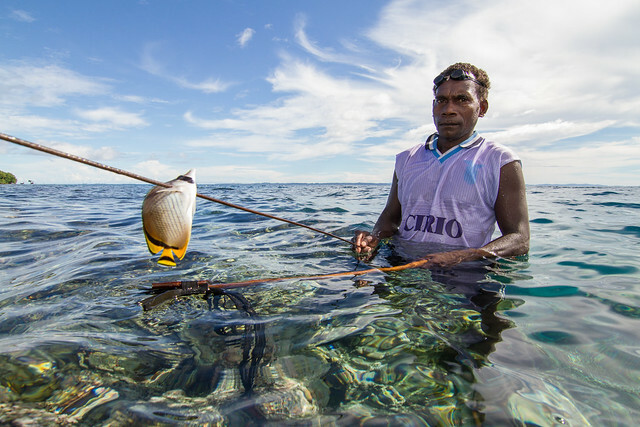 In Solomon Islands, for instance, low-cost innovations such as solar-powered freezers are enabling fishers to store fish for longer and present new money-making opportunities. We are also convening civil society organizations as a way to build collective action toward improved governance of small-scale fisheries. Another focus for WorldFish is ensuring that robust policies and government initiatives exist to support small-scale fishers and fishworkers, who often suffer from weak regulations. This includes making it easier for traders and processors to engage in equitable cross-border trade and researching ways to implement socially responsible seafood that addresses the welfare and human rights of fishworkers. What opportunities do you believe there are for WorldFish to inform and influence the blue economy discourse? Research and data were not as prominent at the summit as they should have been, and several of the panel discussions lacked depth. 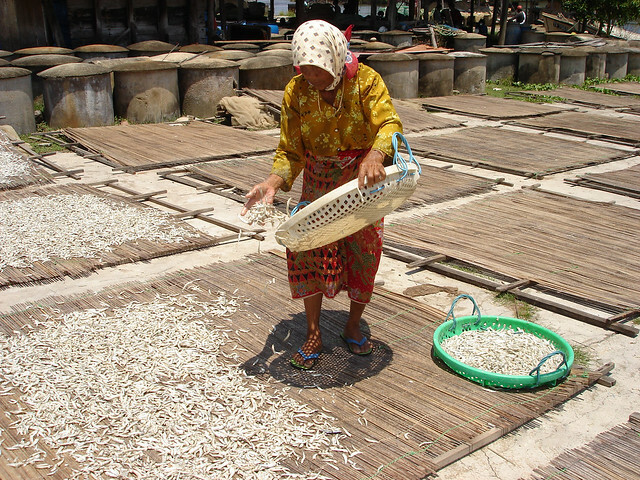 This presents a considerable and exciting opportunity for WorldFish—as a research organization and the only CGIAR center able to contribute to the achievement of SDG 14 (Life below water)—to provide vital, evidence-backed knowledge on how small-scale fisheries contribute to human nutrition, food security and livelihoods. And we’re focused on communicating this evidence in a smart way. The blue economy can be disruptive in questioning the traditional way we have been doing fishery management and can help to develop new approaches, partnerships and solutions, as long as they are data driven. WorldFish can act as a bridge in linking land and ocean-based partners to find these data-based solutions. I also believe disruption is welcome in the research space as it has become siloed and less relevant to the mainstream and complementary sectors. The blue economy provides a useful mechanism to extend fisheries’ relevance to other economic sectors. Tana Lala-Pritchard is WorldFish's Director of Communications and Marketing. 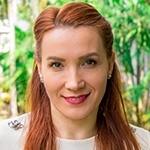 Prior to joining WorldFish, she led the implementation of global communications, engagement and knowledge management for the CGIAR Research Program on Dryland Systems. She also worked with a team of senior peers to develop the 2017-2022 organizational and research strategy for the International Center for Agricultural Research on the Dry Areas.